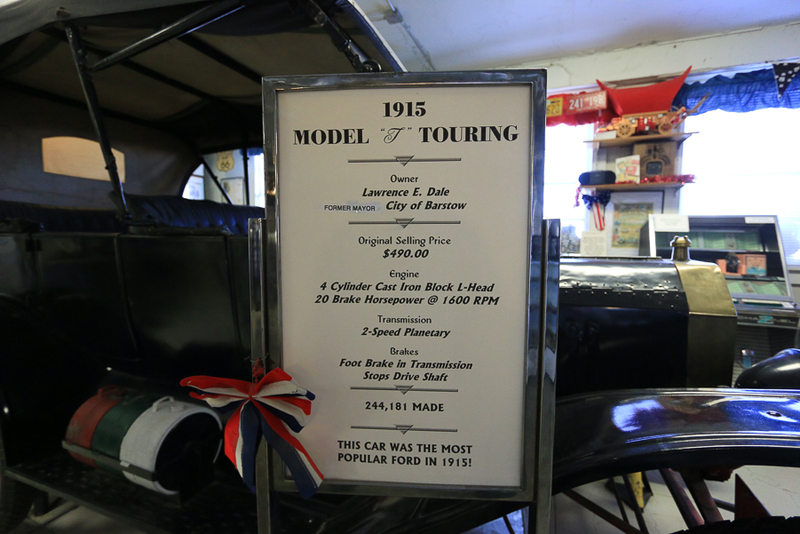 March 29, 2019 - Friday - Today we headed north into the Mojave Desert to visit the city of Barstow, CA. 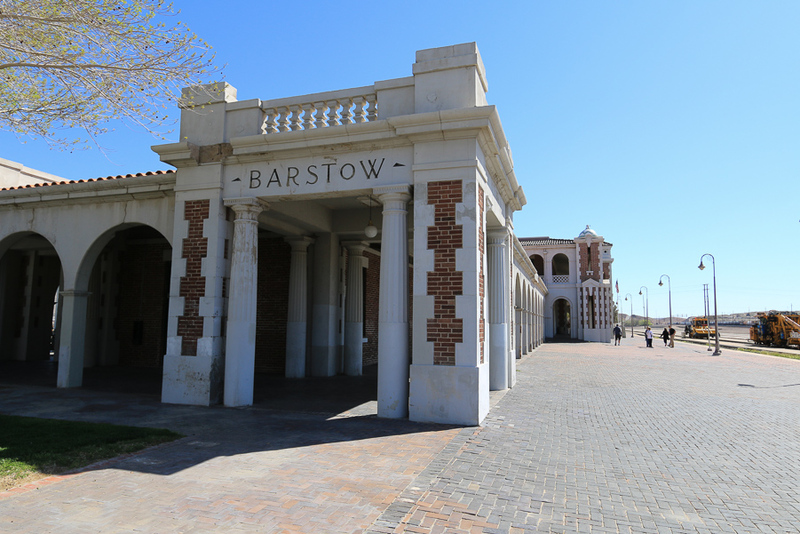 Being about halfway between LA and Vegas, Barstow has become a popular rest stop for tour buses shuttling back and forth between the two cities. 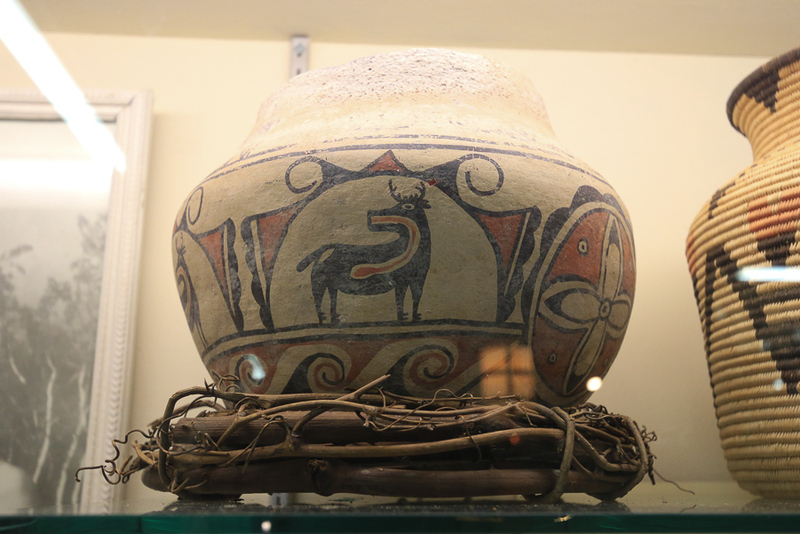 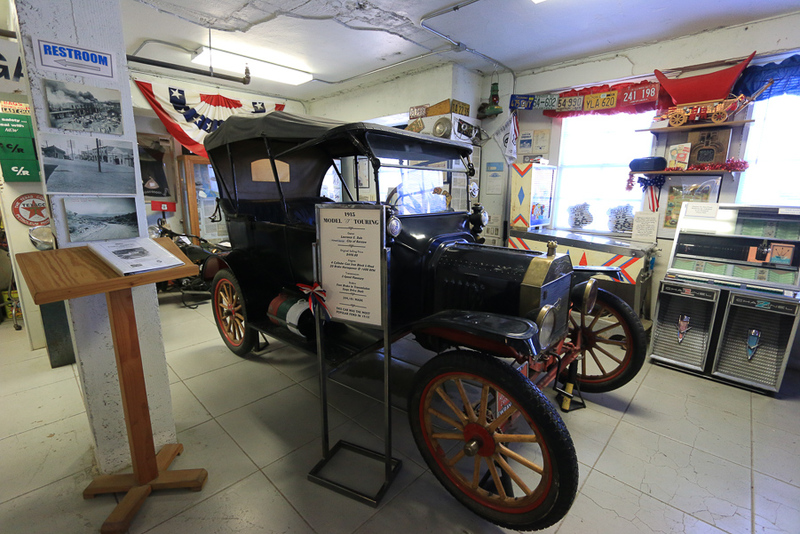 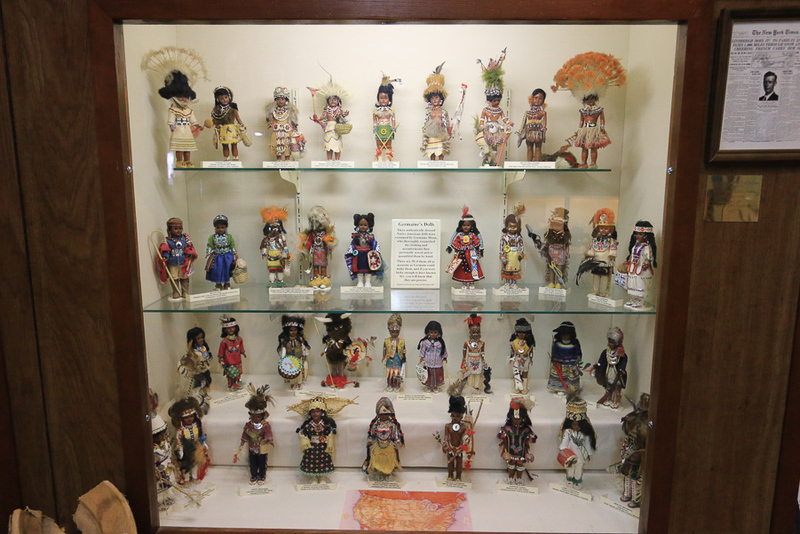 There are numerous small museums here and we weren't sure how many we could see in one day, but we started our adventure at the Barstow Harvey House and hoped to see most of them. 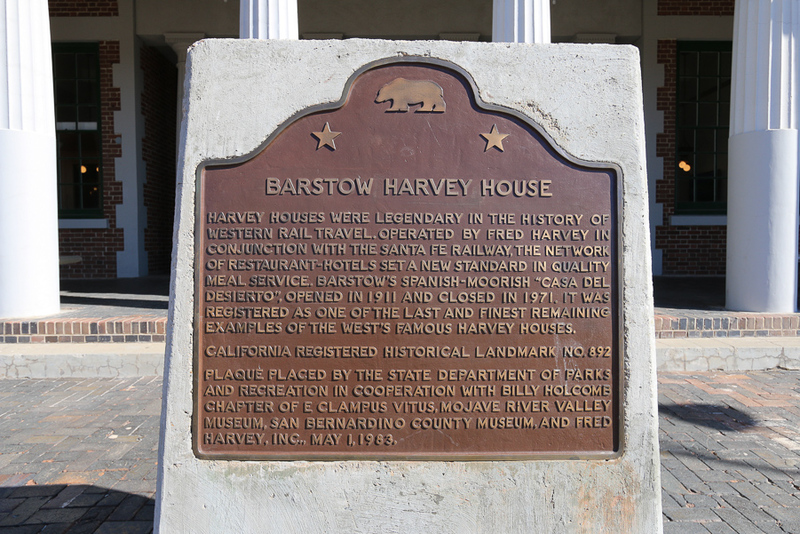 The Barstow Harvey House is also known as the Harvey House Railroad Depot and the Barstow Station. 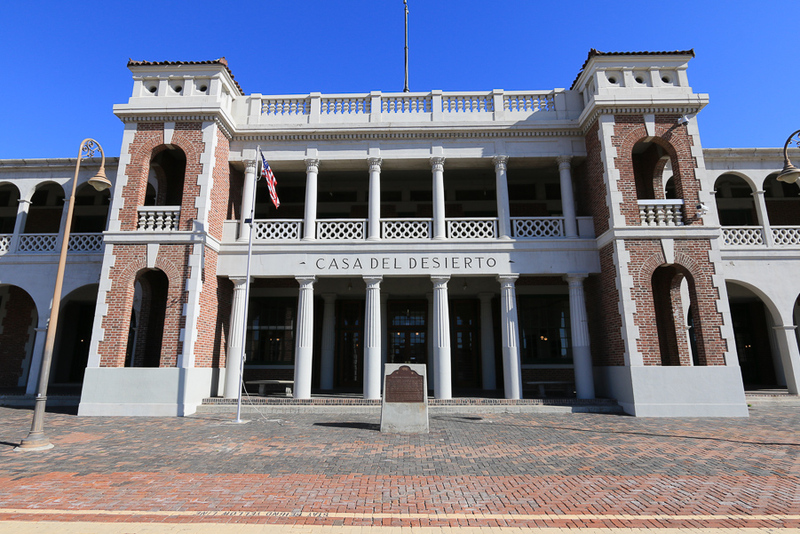 It was originally built in 1911 as the Casa del Desierto, and it housed a Harvey House hotel and a Santa Fe Railroad depot. 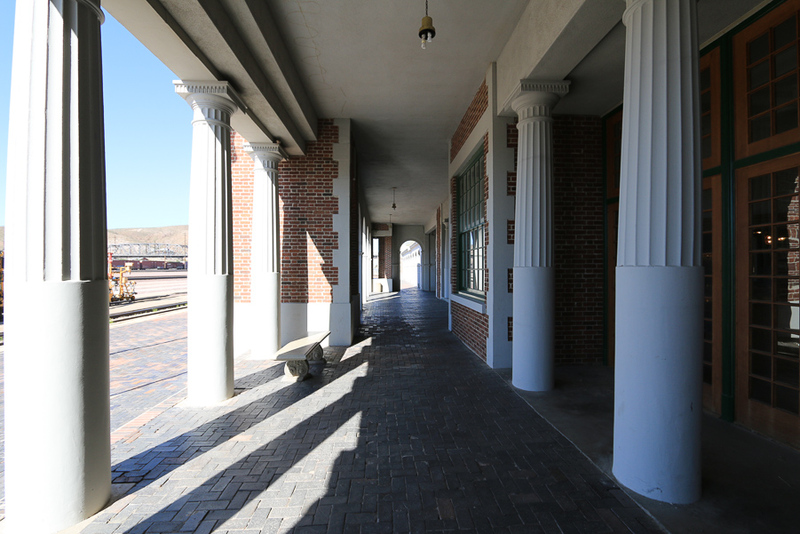 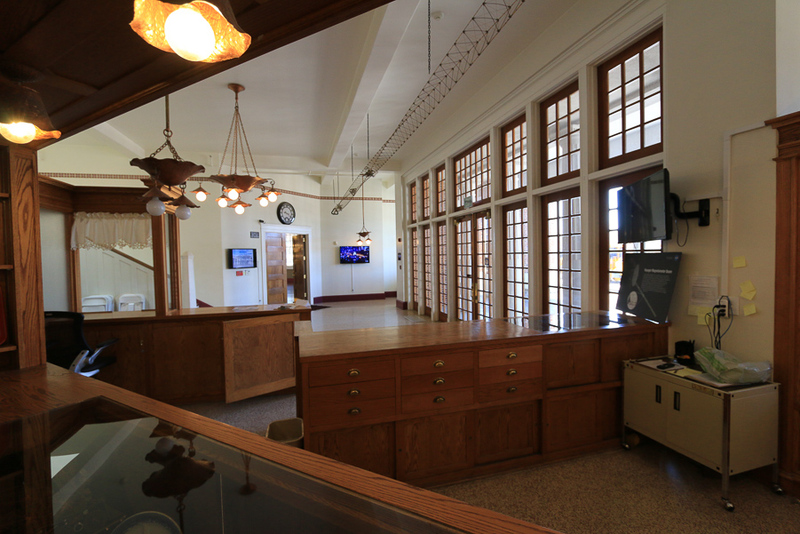 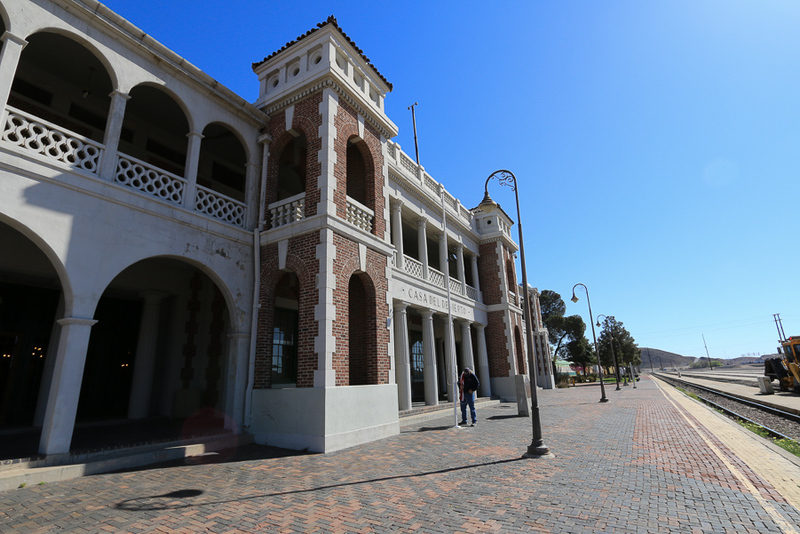 It currently serves as an Amtrak station and a government building housing city offices, the Barstow Chamber of Commerce and Visitor Center, and two museums, the Western America Railroad Museum and the Route 66 Mother Road Museum. 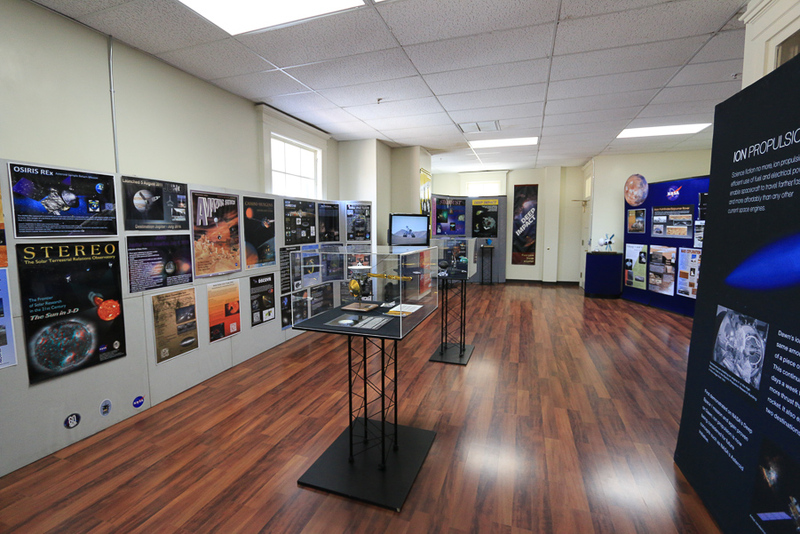 One other notable tenant here is the NASA Goldstone Visitor Center. 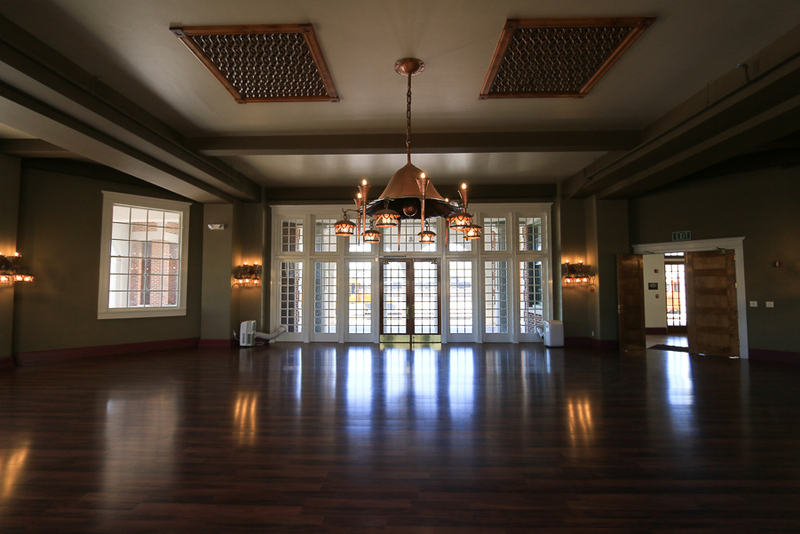 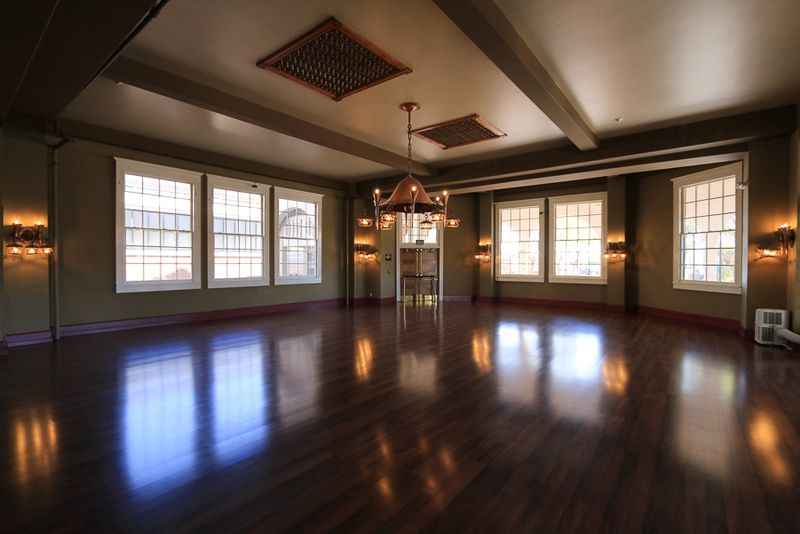 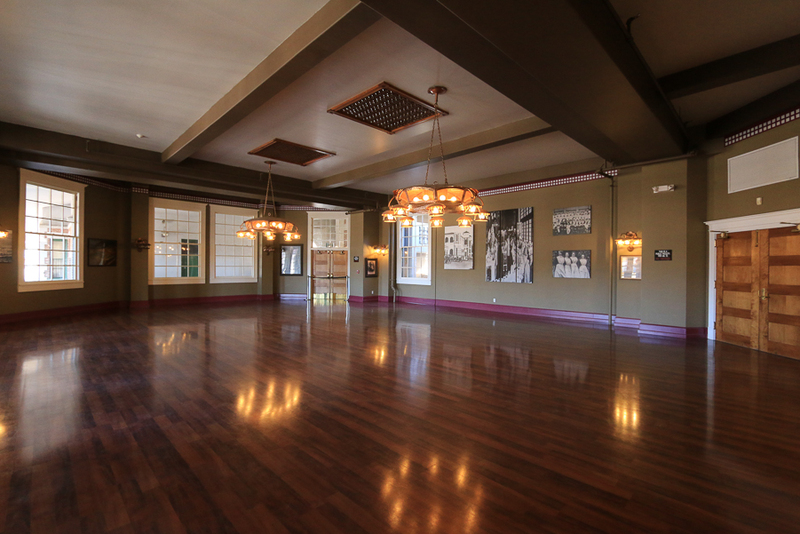 The interior of the old Harvey House has been beautifully restored. 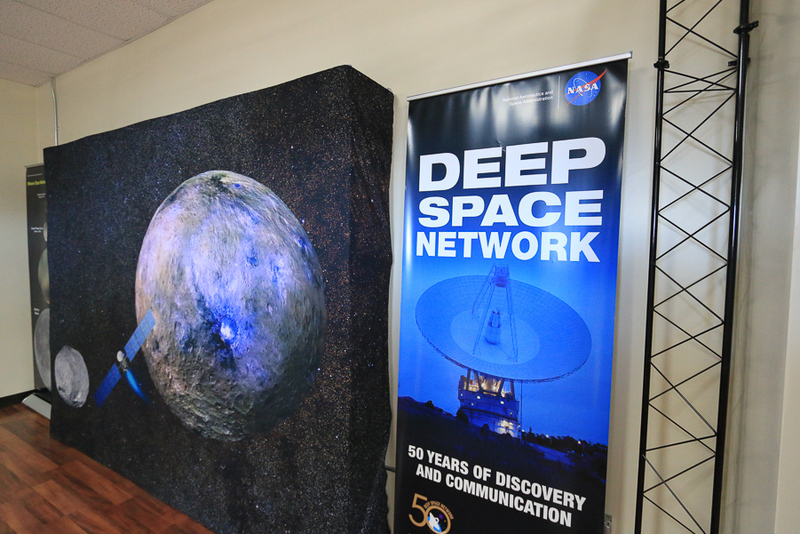 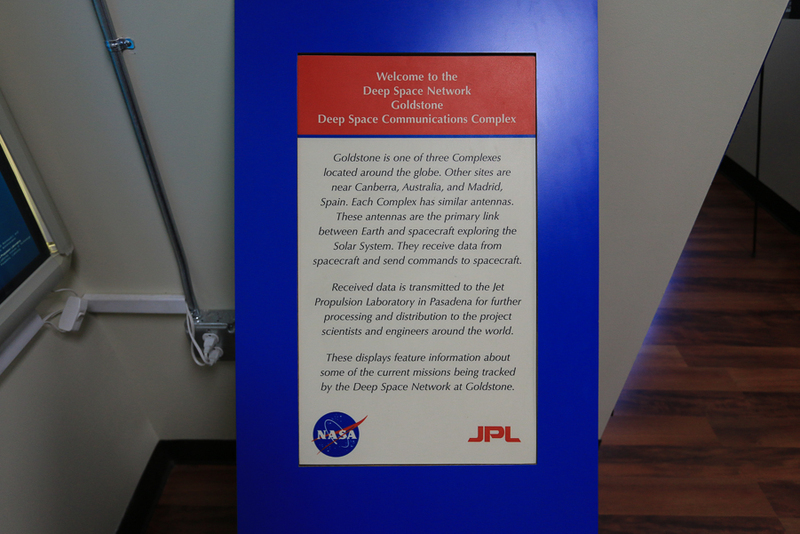 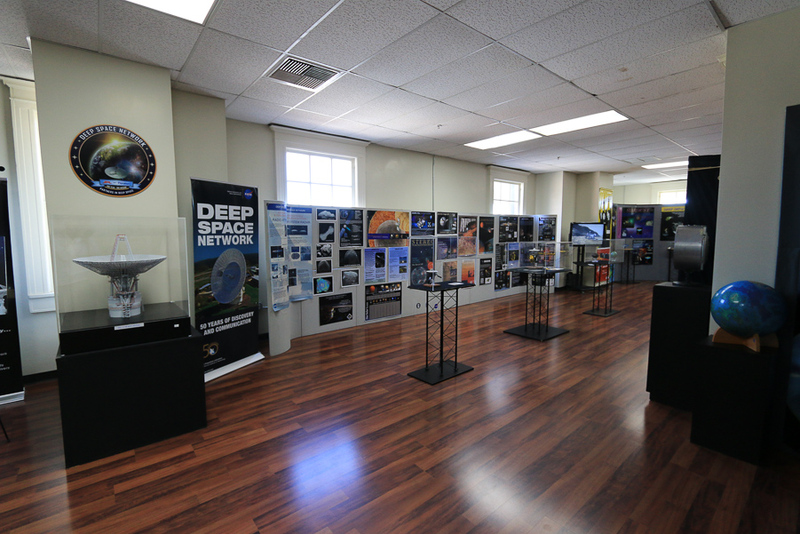 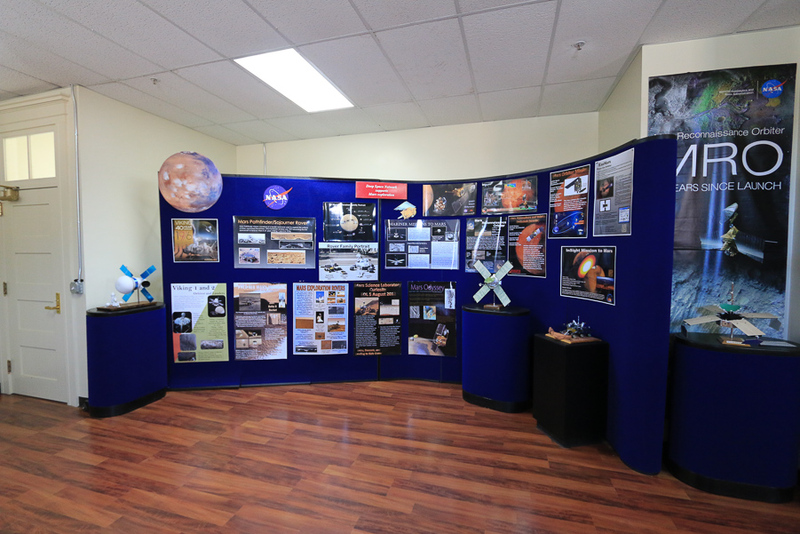 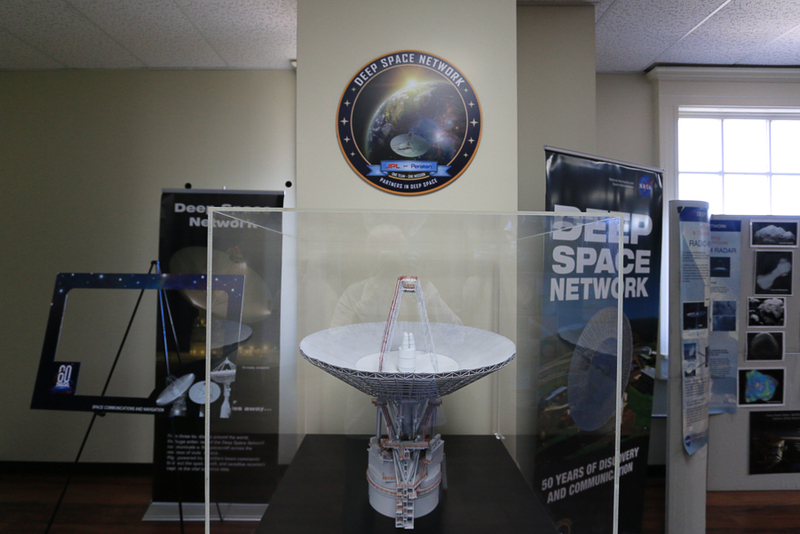 After touring the ground floor, we went upstairs to see the NASA Goldstone Visitor Center. 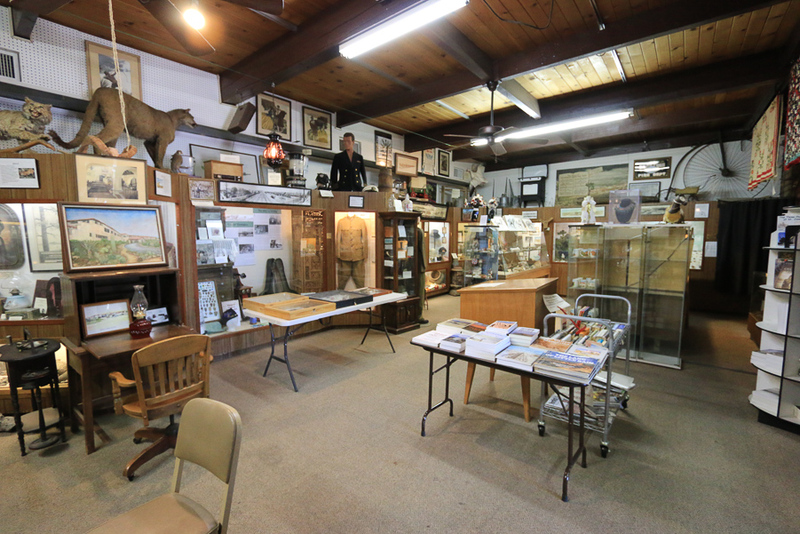 We had visited the actual Goldstone facilities in 2016 and found out that tours are no longer offered there. 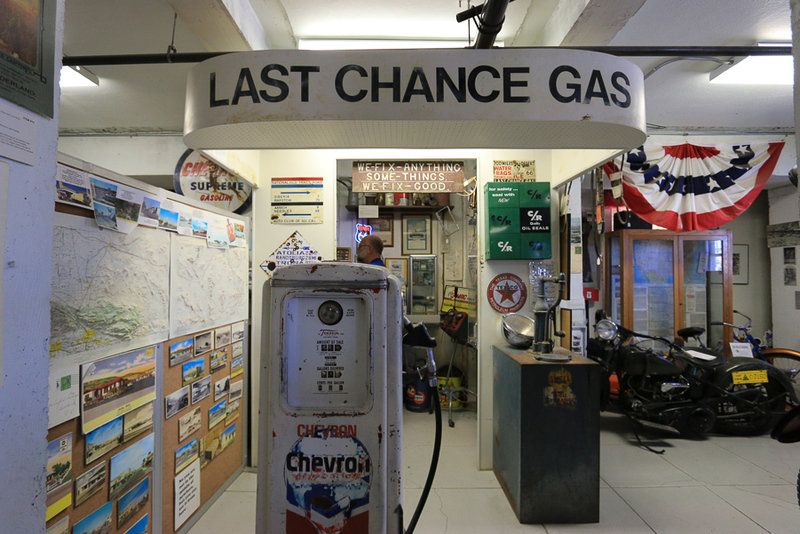 We were lucky that we made that trip when we did. 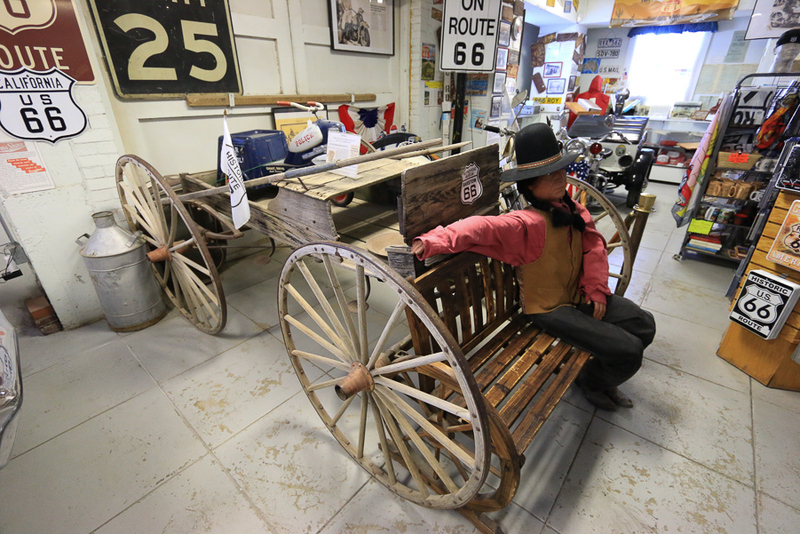 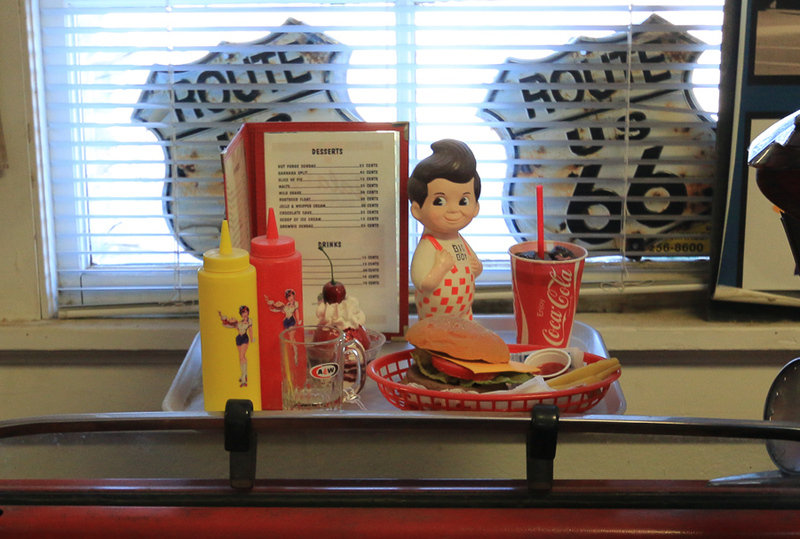 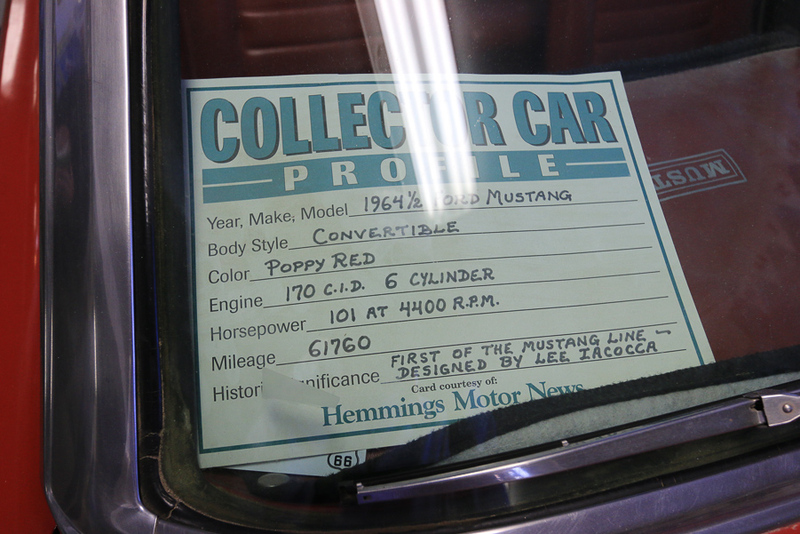 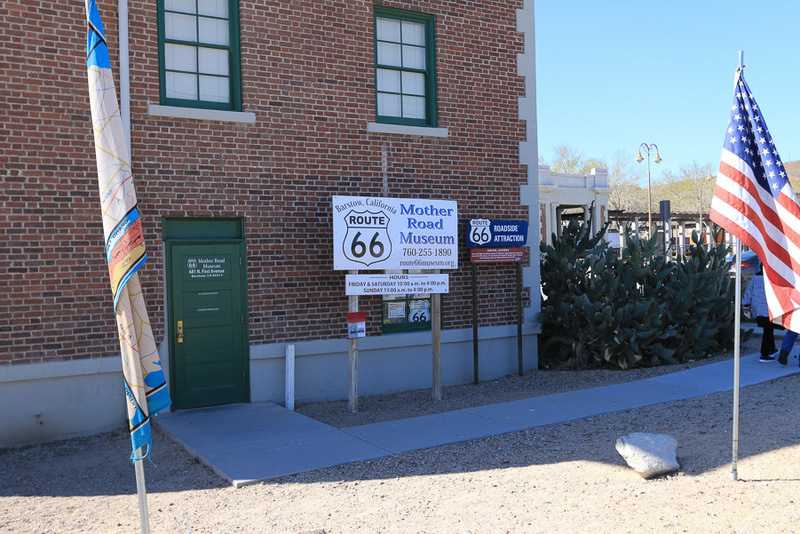 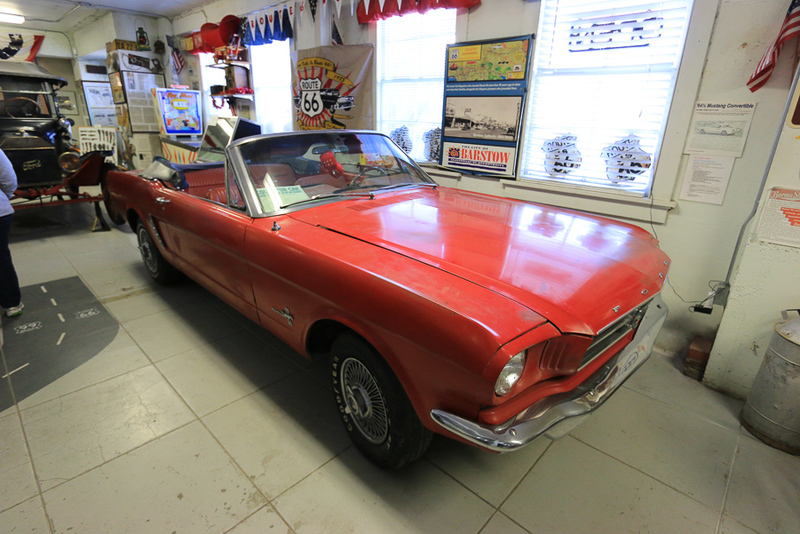 While we didn't have time to see the Western America Railroad Museum, we did tour the Route 66 Mother Road Museum, located in the rear of the depot. 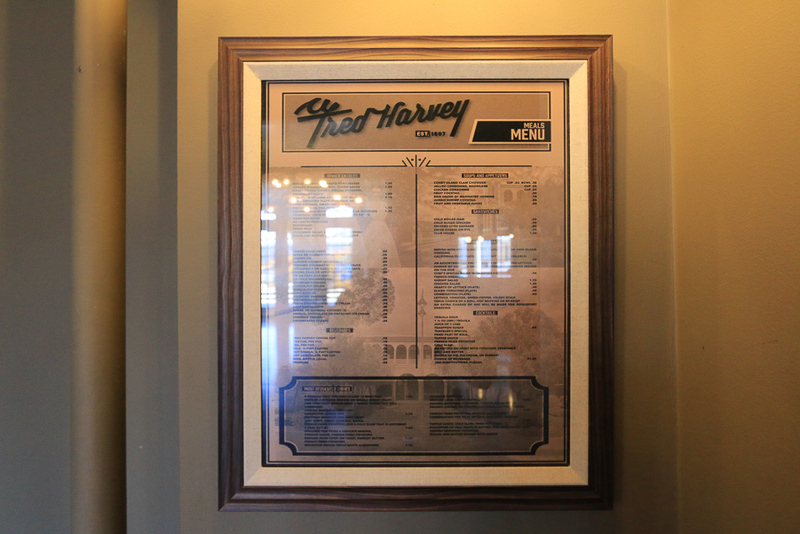 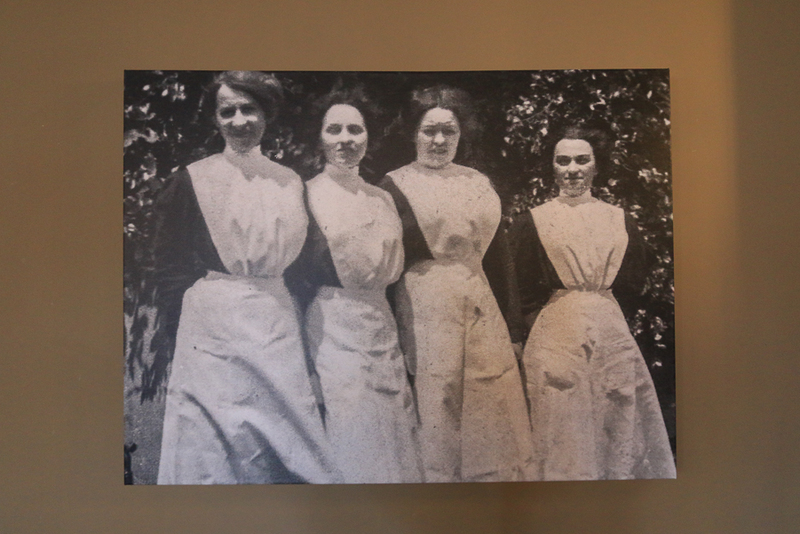 This is an original Harvey House uniform. 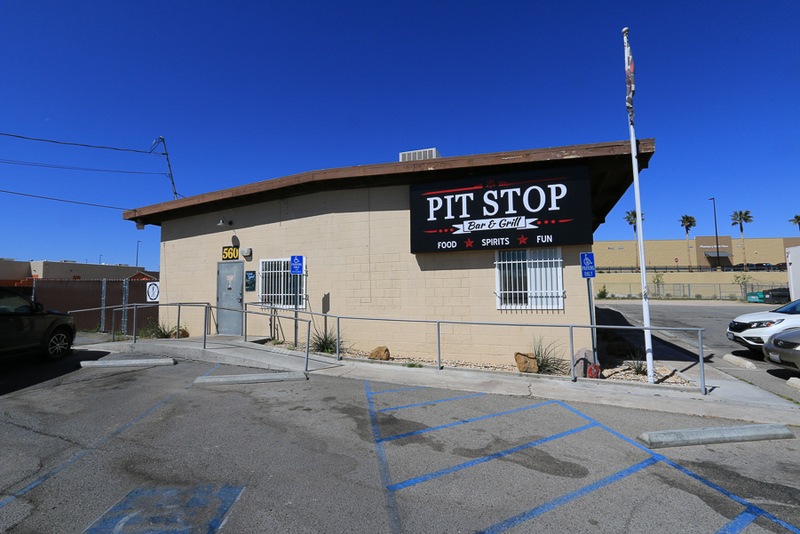 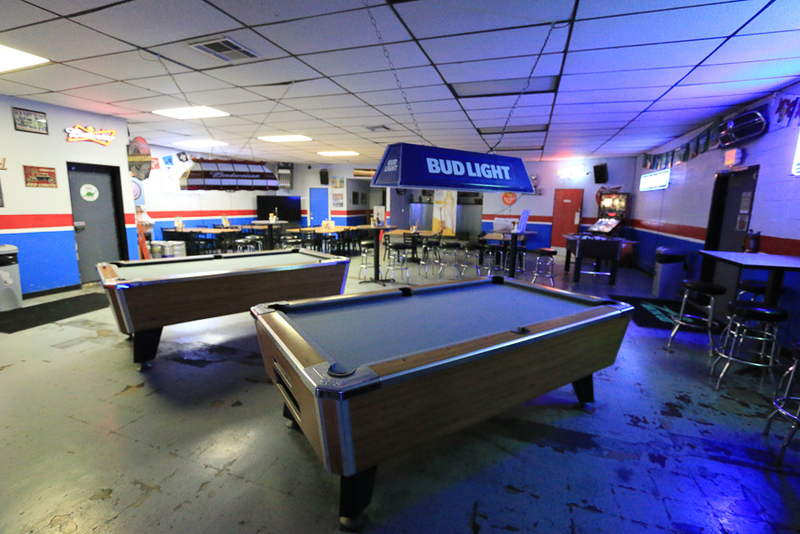 It was a toss-up as to where we'd go for lunch, but, we went for the pub/pool hall/biker bar that's in town called the Pit Stop Bar & Grill. 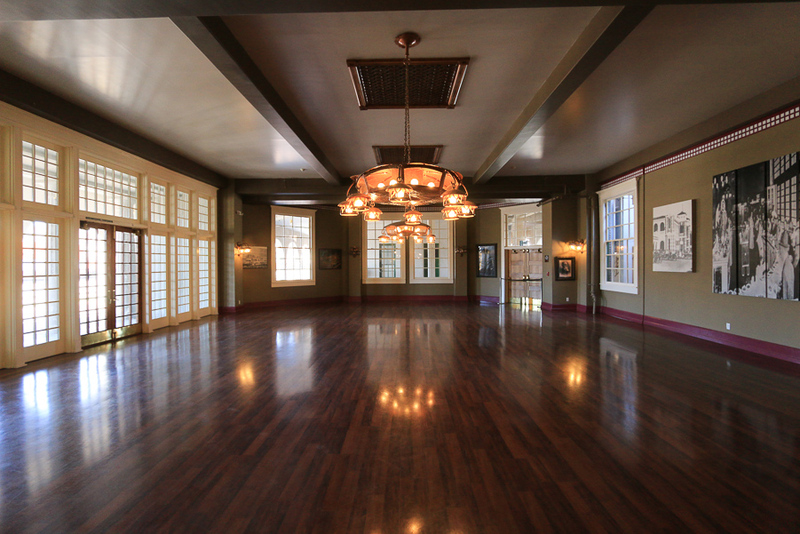 It is not pretentious at all, as you can see by the bars on the windows. 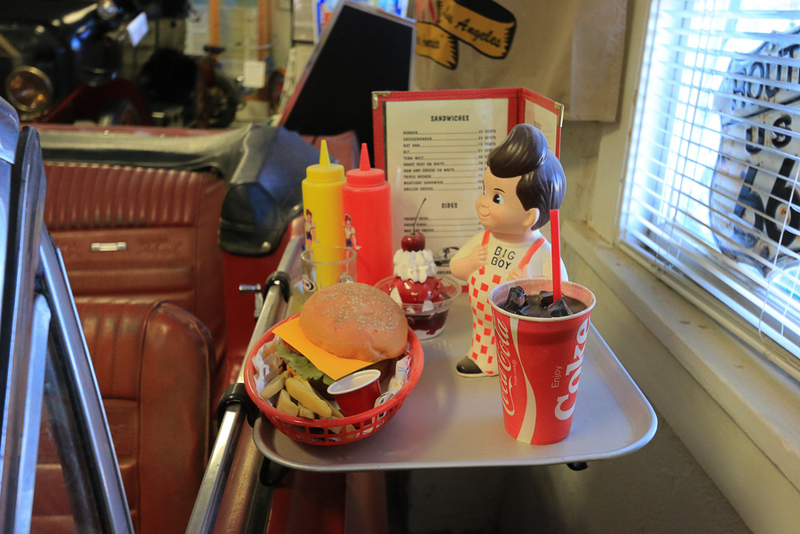 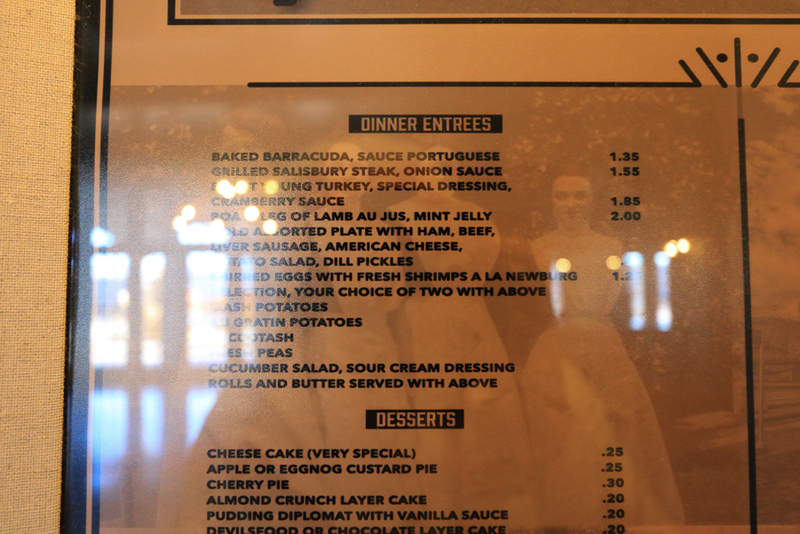 We loved it here, the atmosphere was great, the food was great and the people warm and friendly. 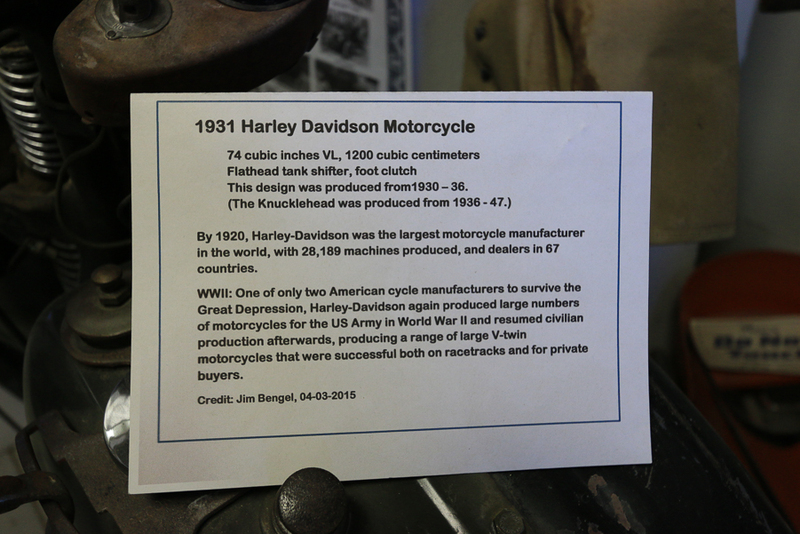 The biker sitting next to me at the bar was trying to sell his $32,000 bike to anyone who had $15,000 cash. 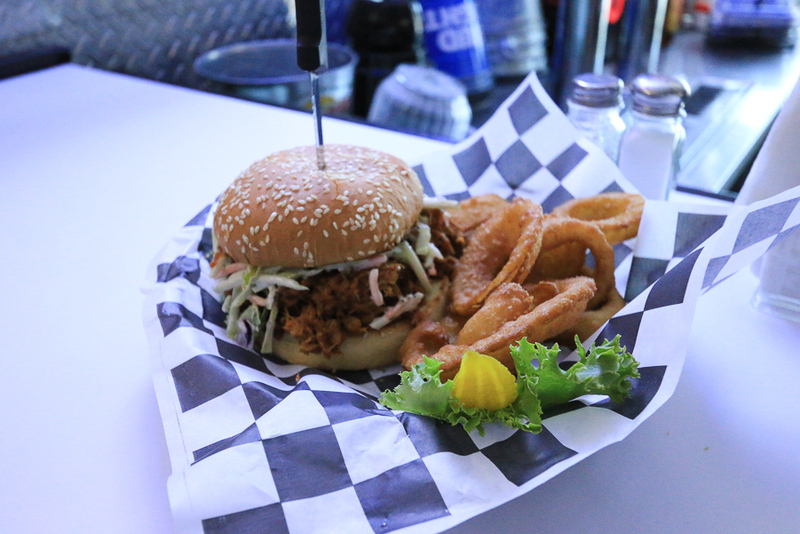 While my boneless chicken wings weren't very photogenic, Judy's pulled pork sandwich still looks great. 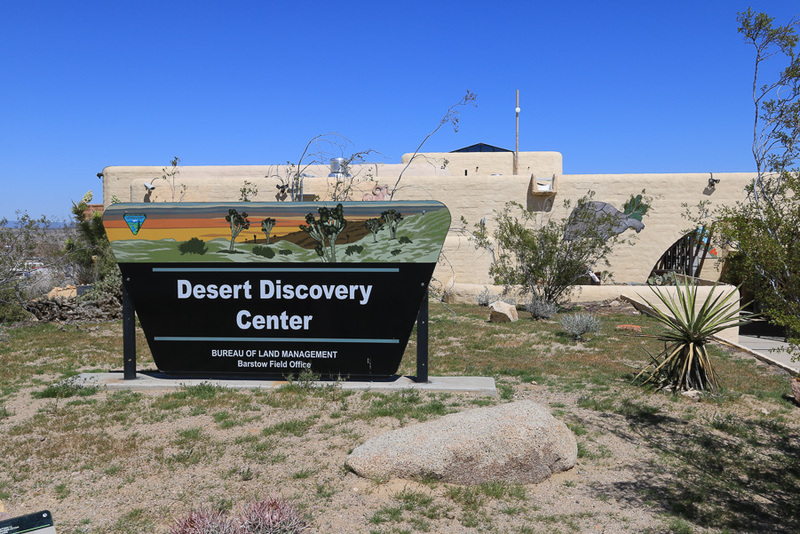 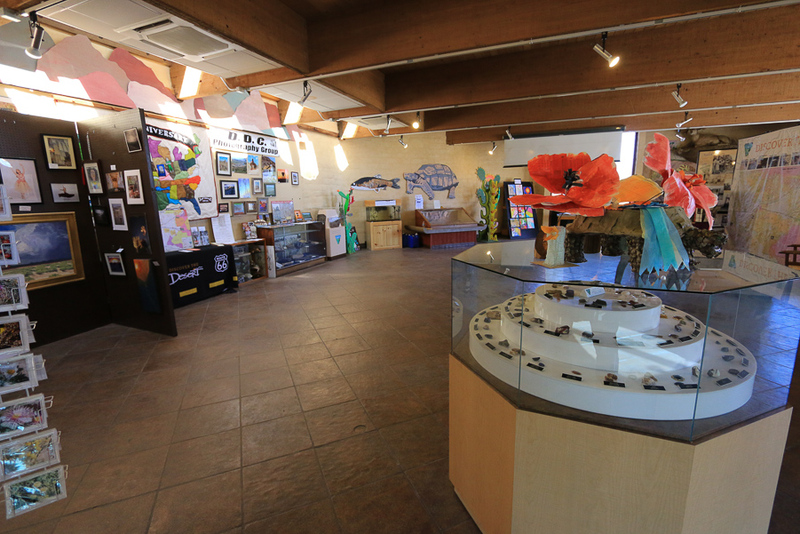 Our next stop was the Desert Discovery Center, operated by the US Bureau of Land Management. 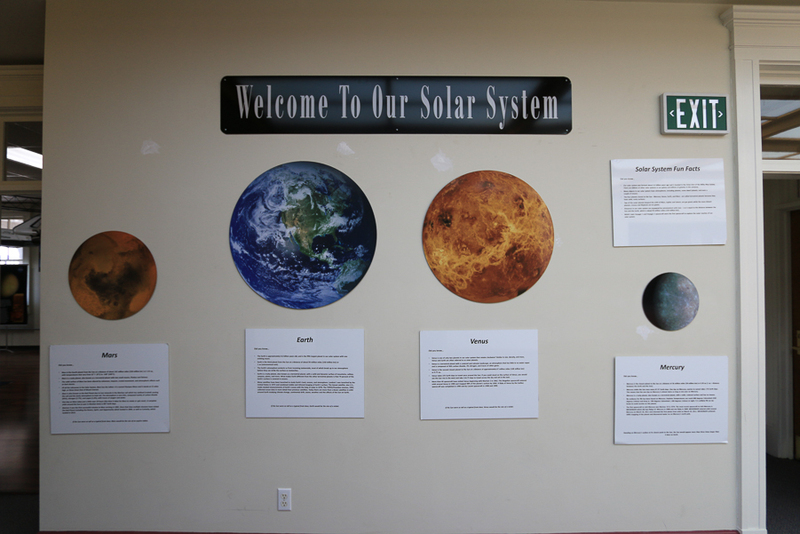 They have dozens of programs of environmental education for kids and adults. 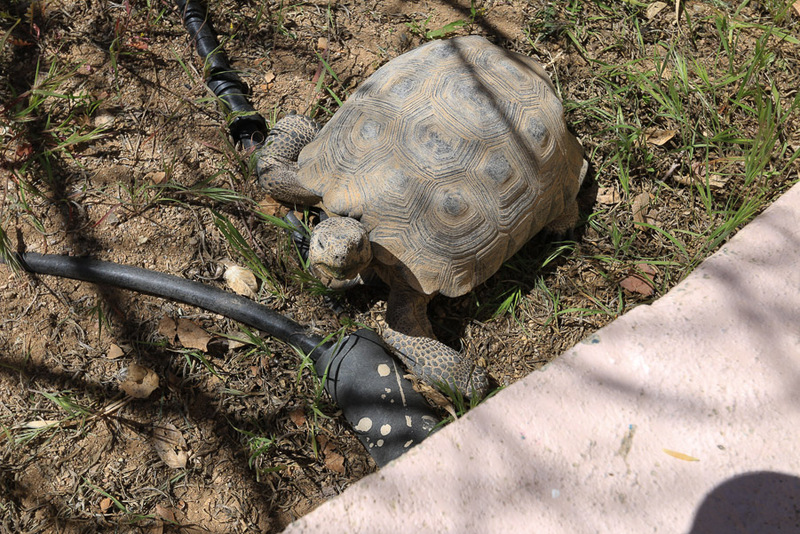 They have many desert tortoise residents here. 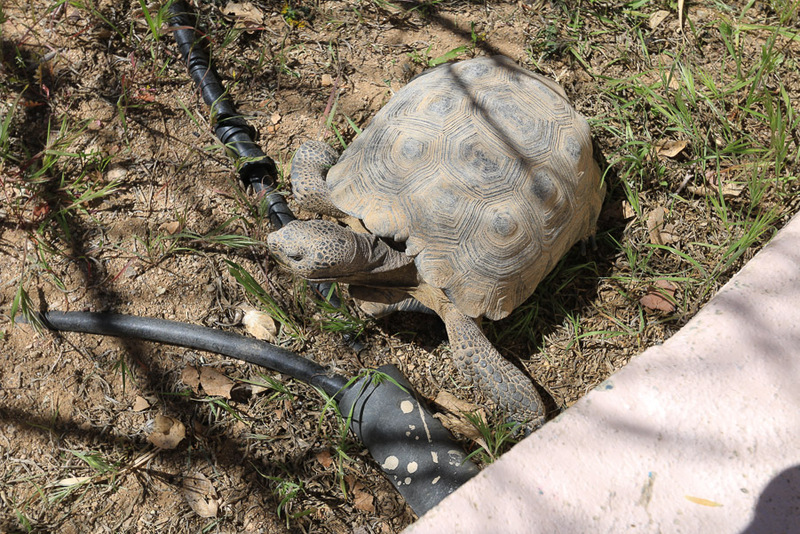 This one even responded if you talked to him. 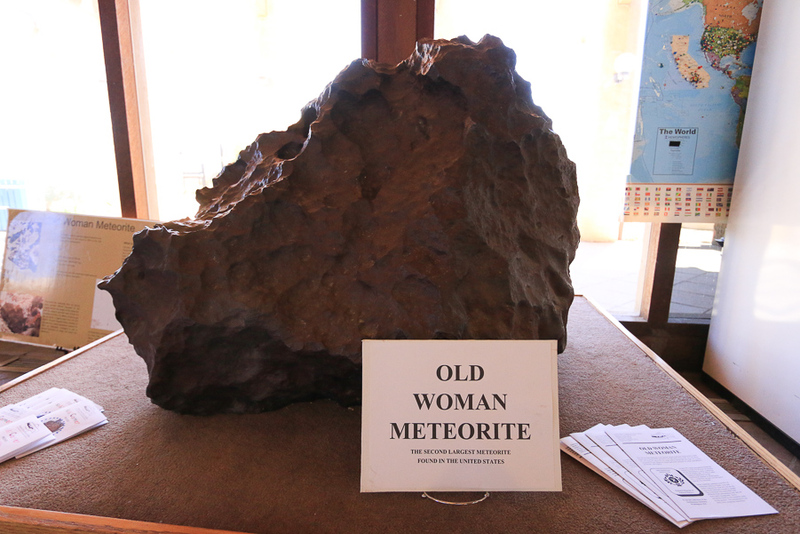 The "Old Woman Meteorite" was found in 1975 in San Bernardino County's Old Woman Mountains. 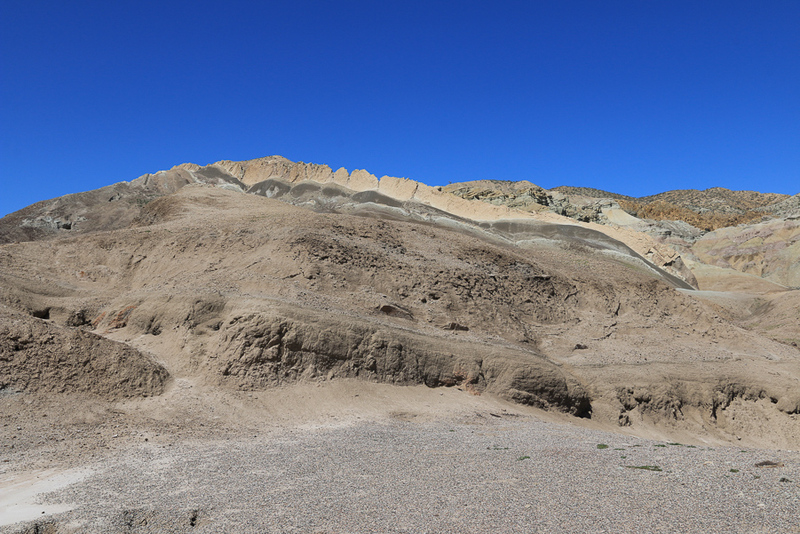 It is the second largest meteorite found in the United States and it weighs 6,070 pounds. 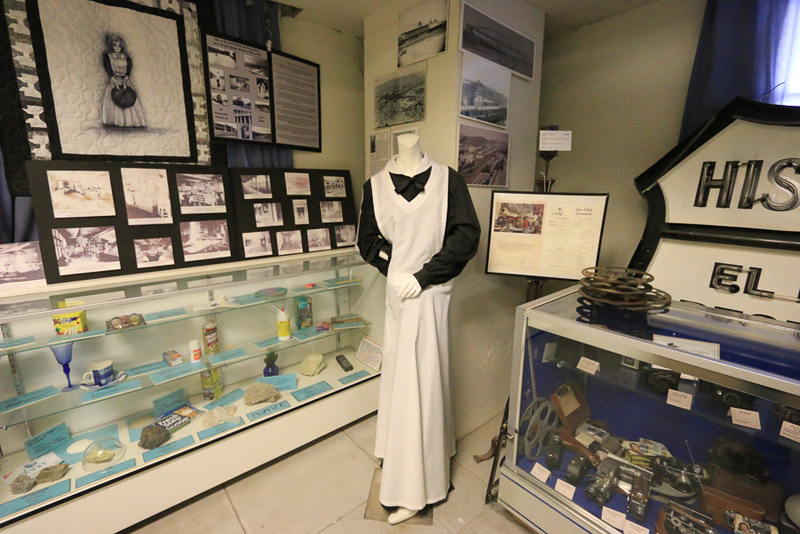 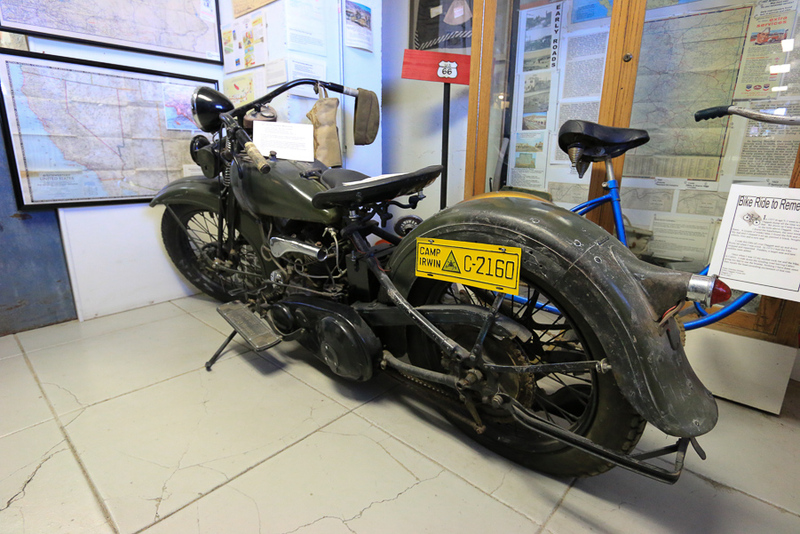 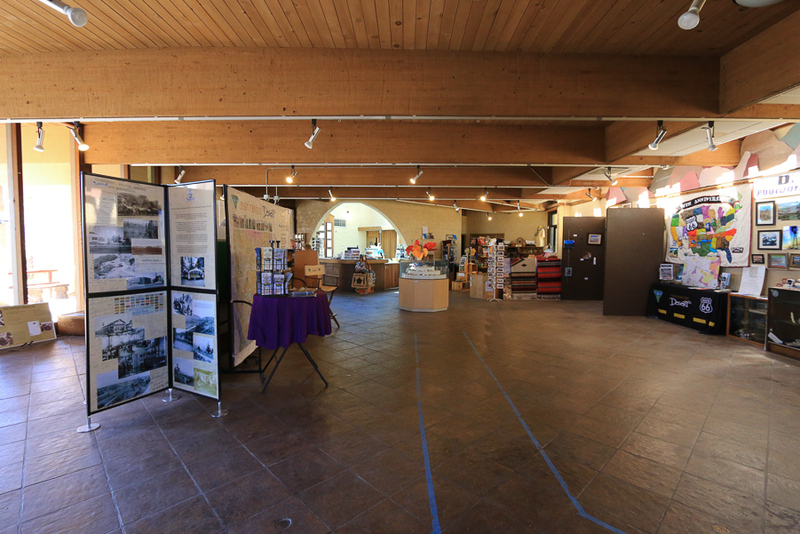 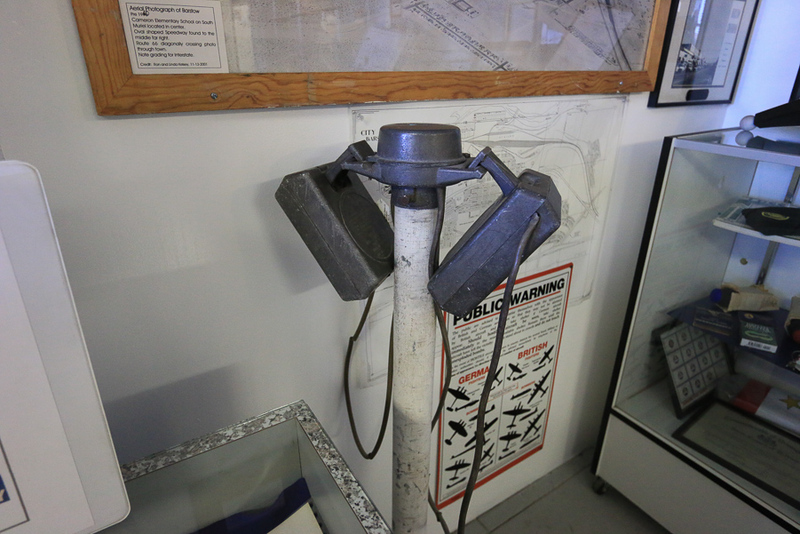 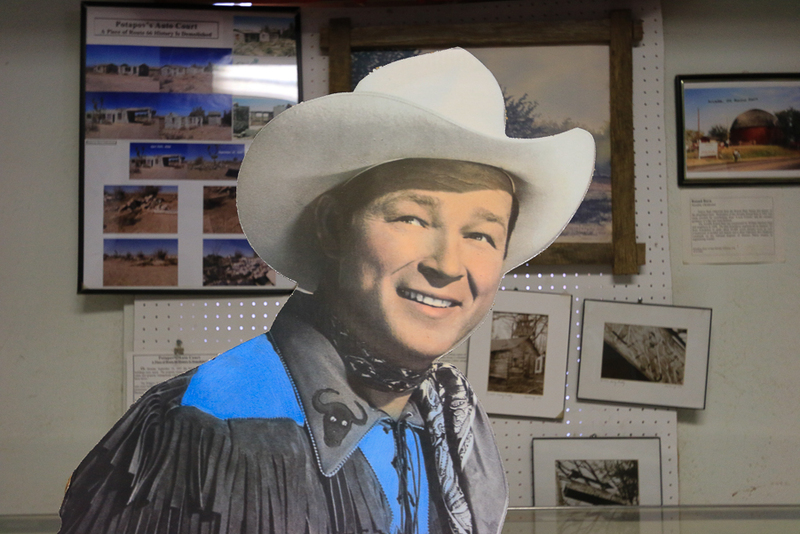 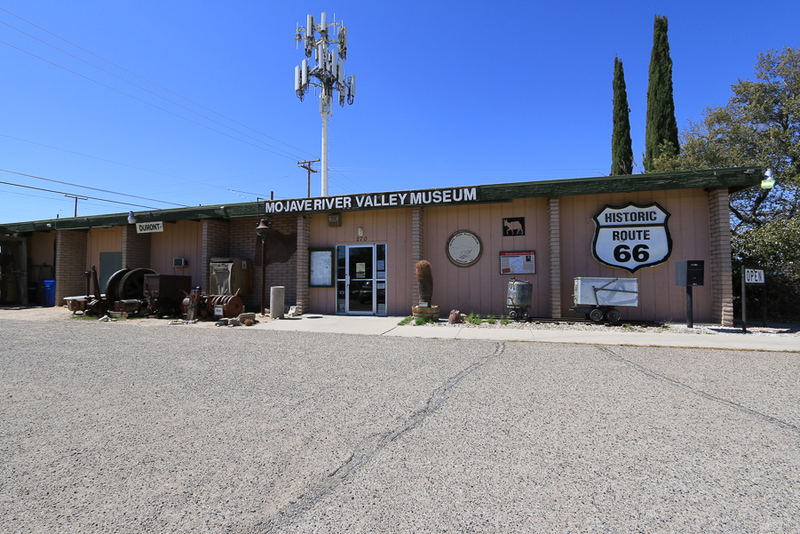 Our last museum stop was at the Mojave River Valley Museum. 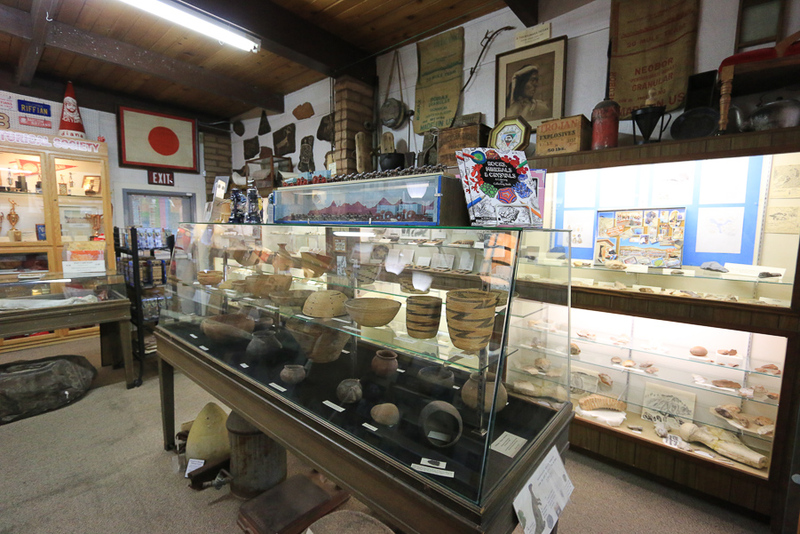 It pretty much has any artifact from this area that you could think of, and more! 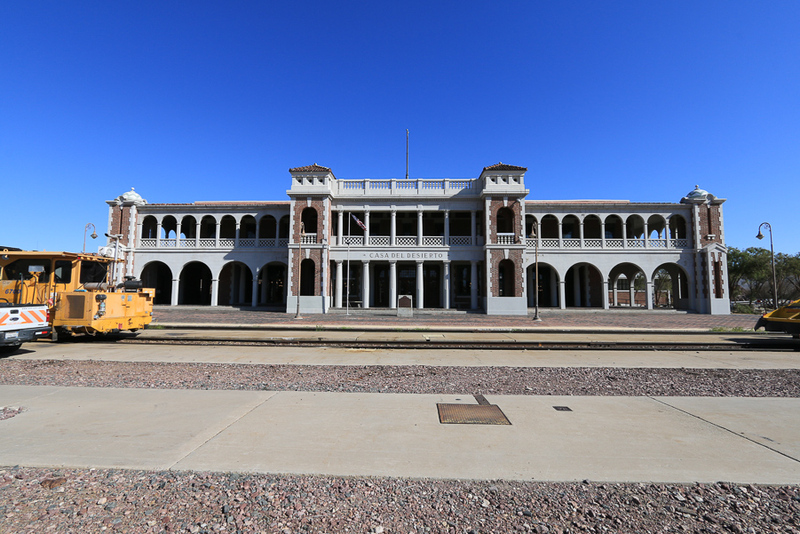 We were able to see all the museums that we had planned to see except for the railroad museum. 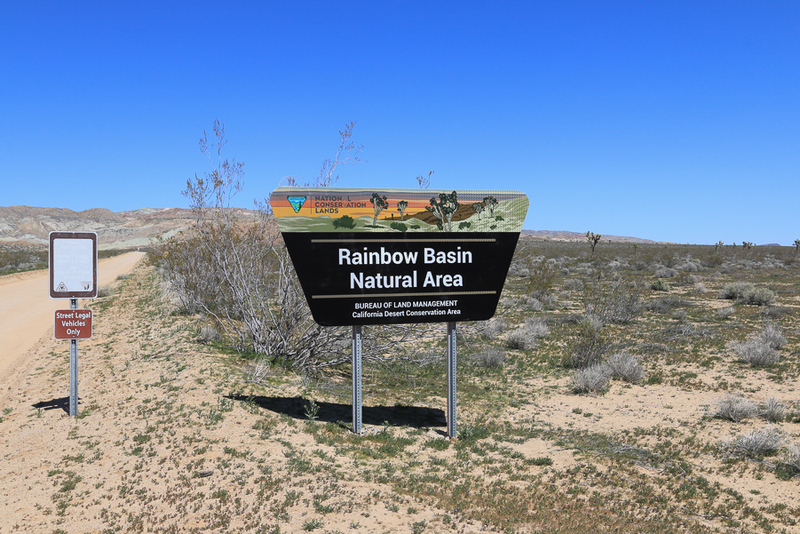 However, when we were at the Desert Discovery Center, the curator told us about the nearby Rainbow Basin Natural Area, managed by the US Bureau of Land Management. 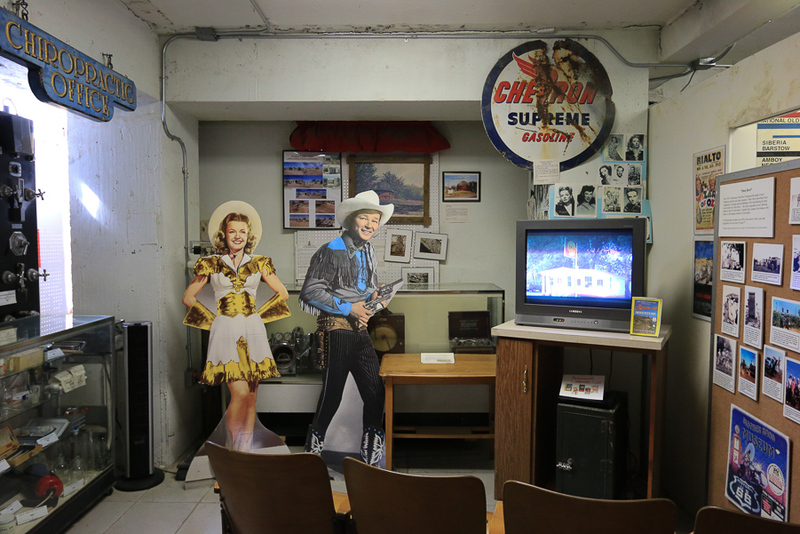 So we made this unplanned excursion to take it in. 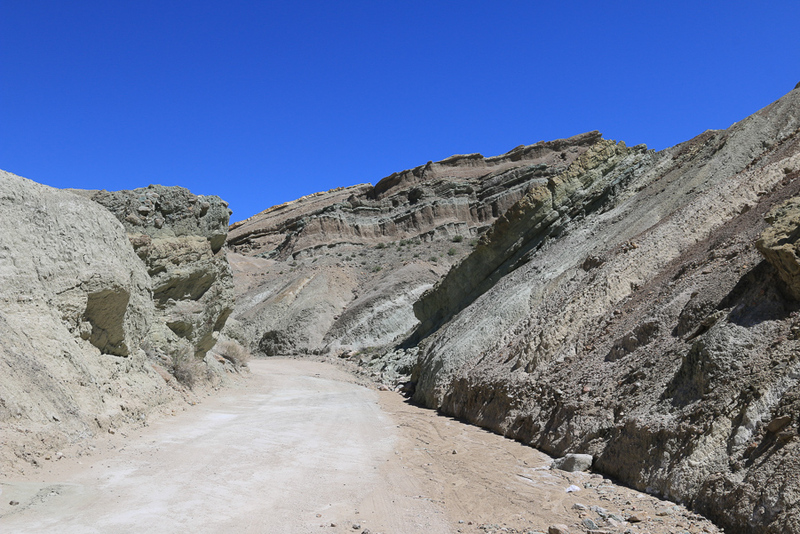 The topography can best be described as "Badlands" and the drive through the tight canyons was challenging. 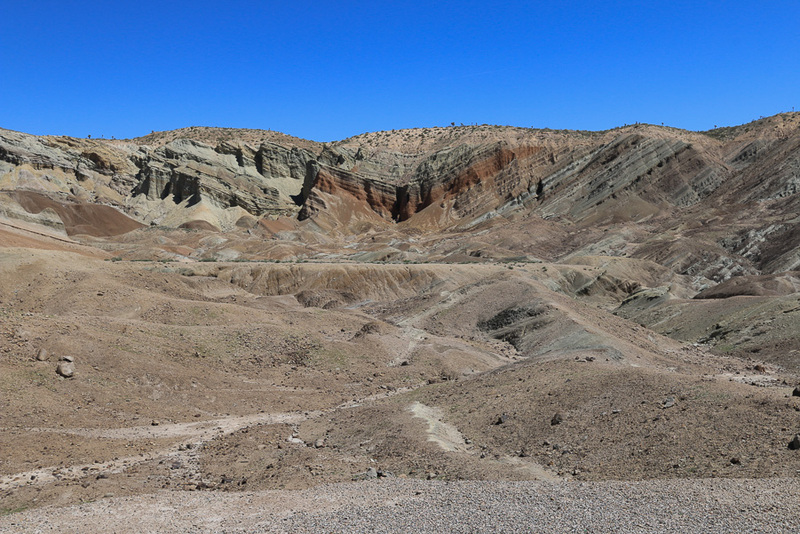 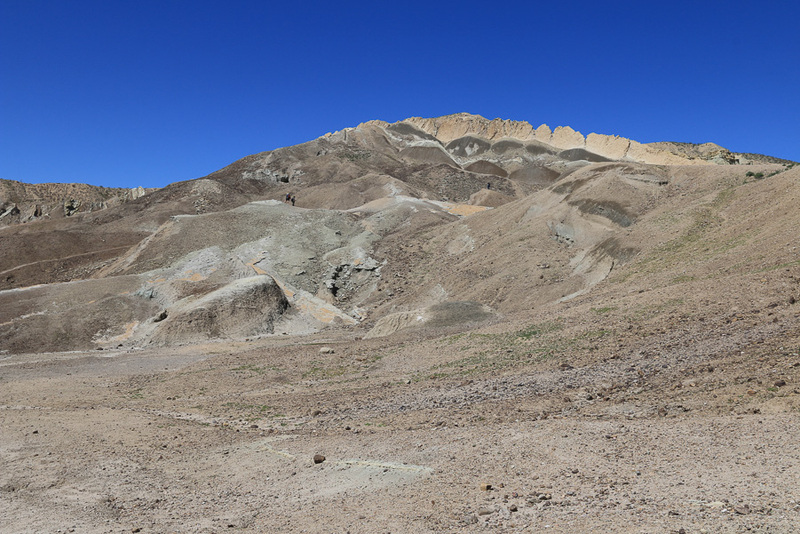 Sediments deposited in this basin became the sedimentary rocks that are most visible in Rainbow Basin today. 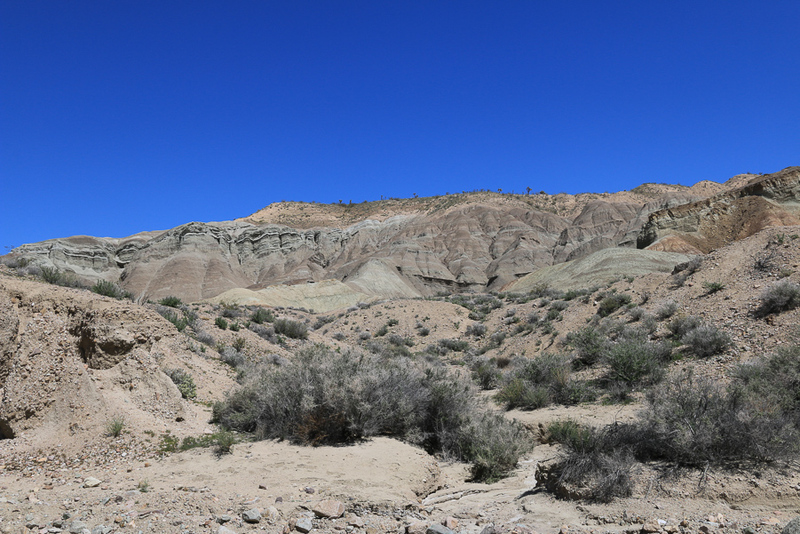 Further compression, uplift, and finally extension left these sedimentary formations deeply folded, the most prominent fold being the Barstow Syncline. 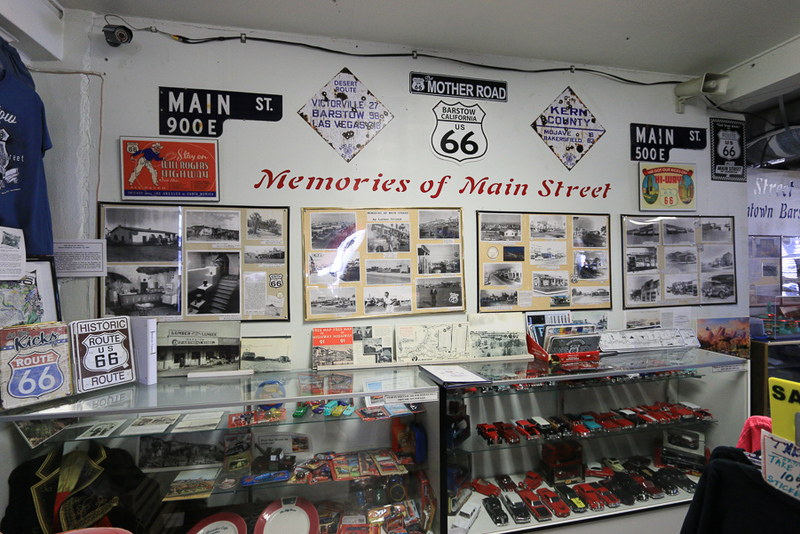 What an adventure, considering that until today, we only thought of Barstow as a tour bus stop on the way to Las Vegas.